We are a family of readers. 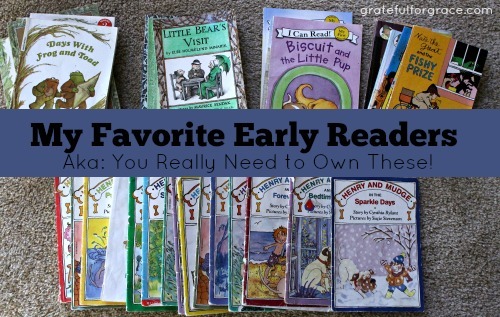 Not each kiddo has taken to reading with the same enthusiasm, but finding the right early readers and chapter books has helped our three reluctant readers. Two of them are card holding Reading Rocks members. And I think we just found Paul Louis’ bridge. And they happen to be my very favorite early readers. I can’t believe I haven’t mentioned them here on the blog, but a search proved I haven’t. Egad. Today’s post will remedy that. These little paperback books are dear to me. I first found them when Daniel lived with us and we tried to help him become a stronger reader. Let me introduce you to Henry and Mudge! This series is seriously spectacular. And that’s understating somewhat. A boy and his dog. Pretty great start, right? They adore each other and it’s so sweet that it hurts sometimes. First and second grade vocabulary with fun repeated phrases, which really help build fluency, as opposed to the dull kind. The phrase key to the series is “and Henry’s big dog Mudge”, of course, but the ones in each specific story are so great that Paul Louis loves saying them aloud. It’s darling. Add to this: stories that share daily life with all the beauty that is there when we are willing to look, parents who are realistic and loving, including a mom who is barefoot nearly all the time, and simply darling ink and water color illustrations. And you have a perfect early reader series that kids grin and giggle while reading and the parents get all the warm fuzzies that come with enjoying a great story with your child.. And none of the repetitive boring effect that many early readers have. I love sitting next to Paul Louis while he reads and experiences Henry and Mudge. Every single story. And it will be every single book, if I have a say. There are twenty-nine of them. Check them out if you have discovered them yet. Frog and Toad are staples here. I mean, really, if your kids haven’t read about the two friends, Frog and Toad, you’re a slacker. Apologize to your children and get the entire collection, pronto. Little Bear. I mean, how sweet is Little Bear? Pretty sweet. Talking turtle, goose, bear, badger, snail… and precious stories mostly about friendship. Great readers. No pain. Nate the Great. 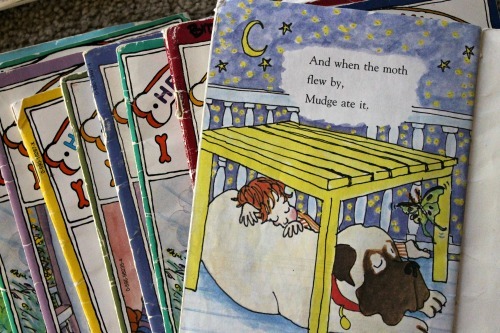 These books are a step up from Henry and Mudge, but they are terrific for after them. They are a reminscent of Nancy Drew and Hardy Boys, but on a second grade level. I have found that books for second graders are most difficult to find because of the jump between first and second and then second and third. Biscuit books. We found these at Costco. I’m sure they were a big thing elsewhere before that or Costco wouldn’t have had them, but I hadn’t really seen them until there. And Esther LOVED them as her very early readers. These are MUCH simpler than Henry and Mudge. Much. A puppy. Short sentences and pages. Quick reads. I think they are pricey for how quickly kids read them and that makes me twitchy, but we have the child read them several times. And use them for several kids. Ha! So, there ya go. Those are our Brouse House Early Reader Staples. Each kid has experienced them (except for Biscuit) and loved them. Go, read Henry and Mudge right now. Seriously. Thank me later. 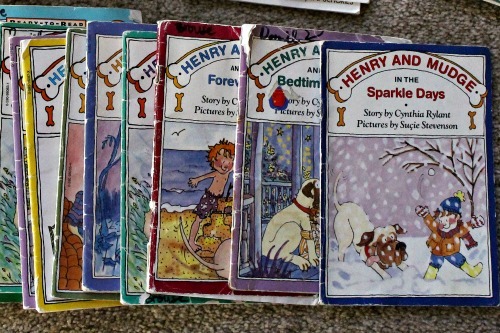 Have you used these books or series with your children? Previous post: What if the Baby We Plan to Adopt is Diagnosed with Down Syndrome or Other Special Needs?